I run canine and feline behaviour consultations and one to one training sessions in London, Surrey and West Sussex. My puppy socialisation and training classes are held in Redhill, Surrey and Chelsea, London on Saturdays. Beginner training classes are held in Redhill, Surrey. - Behaviour consultations for separation related disorders, excessive barking, aggression, house soiling and nervous behaviours. - Puppy classes and one to one puppy training sessions - Help with toilet training, chewing and biting and all aspects of owning a puppy and basic training e.g. walking nicely on a lead and coming when called in the park. - One to one adult dog training and beginners classes - to help with teaching dogs general obedience like walking nicely on the lead and to come back when called in the park. 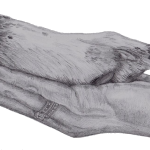 I have been working with dogs for over 20 years. First as a Veterinary Nurse and then working full time in canine behaviour and training. I am also a member of the Association of Pet Dog Trainers (APDT). Puppy and adult dog training classes run in west London using fun and motivational reward-based techniques. One-to-one training at your home or an outdoor location specifically tailored to all breeds and needs. 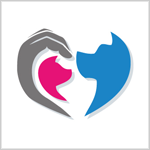 Behavioural consultations for both cats and dogs and only on referral from vets. I passed the COAPE Higher Diploma Year 1, The Principles in Companion Animal Behaviour and Training DipCABT (QCF Level 4)in 2016 with a Grade A Distinction, having previously acquired the Level 3 Diploma in 2006. This is a great way for me to provide initial training/help and advice for new puppy owners, help with specific training issues (eg, recall, jumping up, toilet training, etc), and to help a new rescue dog settle into your home. This is on veterinary referral only and is for problems such as fear/nervousness, aggression, separation issues, obsessive compulsive behaviours, etc. These are every Wednesday evening in central Horsham, West Sussex. Only positive, kind, reward-based methods are used. I offer, Puppy training and socialisation, beginners courses, and Progression courses. All training is kind, fair and reward-based (ie, no aversive methods are used). I also do clicker training. Please visit the Dogs Behaving Badly website for more details. Corrine owns and runs ForPaws, a friendly, professional and reliable pet care business operating in Surrey, Hampshire and West Sussex. We offer dog walks, cat sitting, puppy training classes and private training and behaviour services. Our puppy classes are designed to give owners the best possible start to life with their new puppy and end with the final class taking place in the owner's home to tailor the training to their lifestyle. We also offer a range of private training, including a puppy home training course to fit around busy families and private training walks, where Corrine will work with a dog on a 121 basis. We specifically cover Guildford, Godalming, Haslemere, Liphook, Hindhead, Midhurst and the surrounding areas. Corrine is a member of the APDT (01181) and has completed the first year of the COAPE Diploma in 2014, passing at distinction (87%) and has just completed the Year 2 diploma and is awaiting confirmation of her awarded grade. I provide a supportive,professional and affordable dog behaviour counselling service. We offer a range of classes to support you through the process of improving your dog's behaviour as well as ongoing one to one support after the consultation. Puppy Training classes and ongoing classes all the way up to the highest levels of obedience training if required, all done for fun! Aggressive dog rehabilitation provided in an outdoor class environment ensuring that dogs are worked safely and within their limitations, ensuring ongoing progress in social behaviour with other dogs. Outdoor classes enabling clients to educate their dogs in a real life enviornment not just the confines of an indoor environment. Fun and games with zero impact agility elements combined with obedience, making all classes (indoor and outdoor) great fun for dogs and owners alike! I specialize in cat cases, covering all types of problem, including soiling, scratching, inter-cat problems, aggression, and other annoying behaviours. I use a holistic approach to find solutions that work for individual animals and their owners. All methods used are kind, positive and force-free. I also take dogs for 1 to 1 basic training and some behaviour problems. Available for pre-cat/kitten preventative/planning consultations. After 7 years working as a cat sitter and dogwalker, I’ve looked after and got to know large numbers of cats and dogs: probably well into 3 figures now. I’ve also met all kinds of people in all kinds of homes. Though based in Hackney/Islington, I will consider travelling further. Based in Kent, near Ashford, Canterbury & Whitstable. All areas of Kent covered. Available by appointment in West Sussex/Surrey/London. Group Training classes for puppies, adult dogs and rescue - beginner and progression levels. 'Life Skills for Puppies' training classes & socialisation. Behaviour consults following veterinary referral. Over 10 years experience working with animals. Has been in veterinary practice for over 10 years. Registered veterinary nurse with advanced diploma in companion animal behaviour & training - level 5. Holds a certificate in human counselling skills. Private tuition for dogs of all ages, puppies from 8 weeks. 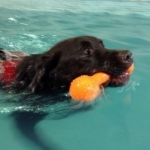 Private indoor and outdoor facilities plus a variety of well trained dogs to interact with for socialisation. Behaviour cases seen on veterinary referral only. Dogs only. I cover most of East and West Sussex, plus parts of Kent and Surrey, working with dogs in relation to companion dog and puppy obedience training and resolution of behavioural problems. I also deal with cat behaviour issues and have worked with house pigs. As a former RSPCA Inspector I continue to work closely with the RSPCA kennels at Brighton. Consequently, working with re-homed rescue dogs and their new owners has become a bit of a specialism! I offer Behaviour Change counselling, One to One training and small group Classes for both puppies and adult dogs. I'm a qualified Scentwork UK Trainer and offer Day and ongoing courses in scent detection. Vet referrals only for behavioural work. Particular experience with separation problems, aggression, rescue dogs and cats, puppies and socialisation. Associate of The Clever Dog Company; puppy and dog classes, 1-1 training and behavioural referrals. Resident dog trainer and behaviour consultant at the RSPCA Millbrook Animal Centre. Kennel Club classes at Bronze, Silver and Gold levels. Contributor to RSPCA publications. 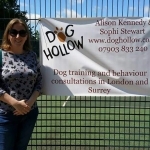 Karen has been running puppy classes, dog training and practising canine behaviour counselling for the last 9 years in Surrey. She is also a member of the APDT000692. Karen sees behaviour cases on veterinary referal for all kinds of problems. She also does one to one training for milder training issues. Hi there, my name is Kiri & I have been working with many different animals all through my life. My first job at thirteen years old was taking care of a managere of animals in Needham Market-Suffolk. I worked in a local petshop in Haslemere. Surrey for 4 years & it was here that I learnt so very much about small animal care & it was here that my first business, Petwatch really started to grow. Over the past 14 years I have strived to make Petwatch the success it is today & I am very proud of it & its good reputation. In 1996, when Petwach was born' I went to Brinsbury College in Pulborough & studied Canine Management & Dog Grooming. Then I was lucky enough to meet CC' Guard, very well known & a founder of APDT. Through CC' I met the APDT & through the APDT I met COAPE. I have never looked back! I started studying with COAPE & after a few courses I then did my Higher Diploma & am now a Practitioner. Behavioural Referrals, puppy, adolescent & adult dogs, re-home & classes. Agility, Fly Ball & much more. I also practice Herbal Pharmacology - self selection for dogs & cats. I offer advice on buying a puppy, how to help your puppy settle in to his new home and puppy classes at your home. I also offer one-to-one dog training classes at your home and out and about. Behaviour consultations require a veterinary referral,for your dog or cat's behaviour problem. These are one-to-one sessions. One to one training from puppy to adult. Help and advice on buying a puppy. I offer help and advice with cat behaviour problems such as indoor marking, house soiling and litter tray problems, aggression, socialisation problems, multi-cat households, over-grooming, eating non-food materials, separation anxiety and stress. This can be a home consultation, by telephone or Skype. Help and advice on how to introduce a new cat or kitten/dog or puppy to your existing cat or dog, or if you are moving to a new home. One-to-one puppy/dog training and assistance with house training. I am also available to give practical advice on general pet care in the comfort of your own home with on-going support. 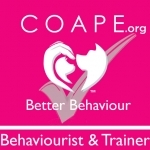 As well as the COAPE Diploma in Companion Animal Behaviour and Training Levels 4,5 and 6 I have the COAPE Advanced Award in Feline Behaviour and cat/owner relationships. I have owned and managed Cats Cradle Boarding Cattery, iCatCare Listed, since 2003. Offering 1-2-1 advice on dog and cat behaviour by veterinary referral only. Advice on problem behaviour in dogs and cats on veterinary referral only. As our motto is that dog training should be fun for both dog and owner, we use training games as well as reward based training methods to keep you and your dog engaged in your training. Also offering dog walking and pet feeding visit service for dogs in the Puddletown, Dorchester, Ansty areas. Registered Veterinary Nurse in practice providing Puppy Parties to registered clients. Four week Puppy training classes for puppies up to 6 months of age. I deal with canine and feline problems such as agression, anxiety, house soiling, phobias and any basic training problems which need addressing. I offer behaviour consultations in the clients home, B4U get your puppy consultations, one-to-one training ,puppy and adult training classes and boarding in my own home which has a fully-equipped doggy playroom. In addition to the COAPE diploma I am a qualified veterinary nurse,I have a degree in Psychology focusing on innate and learned animal cognition and the BVNA certificate in canine and feline behavior. I hold consultations all over the south-east. Petrina is a full member of The Association of Pet Dog Trainers (APDT UK 01238) and the COAPE Association of Pet Behaviourists and Trainers. She is also a fully qualified Dog Yoga Instructor, and a member of the Pet Professional Guild, and Animal Behaviour and Training Council. 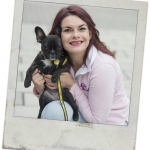 Based in Central London, she sees dog and cat owners on a one to one basis, for training sessions and behaviour consults. 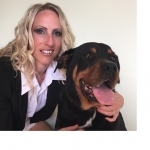 Petrina has been training animals professionally since 2010, and previously assisted Chirag Patel at The Company of Animals and Karen England at The Best From Your Dog. 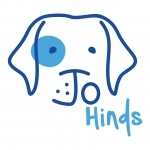 She holds qualifications with the Centre of Applied Pet Ethology and The Clever Dog Company, and has attended many seminars, courses and workshops with some of the worlds leading animal trainers and behaviourists. She used the most up to date, science backed, kind fair effective methods, and works with animals holistically, looking at nutritional health, breed specific needs, mental stimulation and physical needs, in her sessions. Petrina owns a French Bulldog, Sunday, who’s rescue from illegal puppy importers was featured in The Mail on Sunday. She has just started training Sunday for Heelwork to Music and Rally Obedience. Previously she owned a Staffordshire Bull Terrier and a Bengal Cat, but has kept many species over the years, including snakes and tortoises. London Boroughs Covered - Kensington and Chelsea, Hammersmith and Fulham, Westminster, City of London, Wandsworth, Lambeth, Southwark. 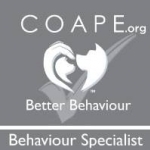 In behaviour referral practice via associated Coape Diplomates in the Wiltshire and Hampshire counties of the UK, and in Johanesburg and Cape Town in South Africa. Professor,Dept of Clinical Vet Medicine, Myazaki, Japan & Visiting Scholar, Dept of Animal Sciences, The Ohio State University, USA and often in South Africa...hence usually unavailable to take UK case referrals directly myself. Available for presentation of lectures and talks for veterinary/behaviour/training/feline/canine societies and associations worldwide on behaviour. DNA Breed Identification for mixed breed dogs. Find out which breeds make up your mutt. A simple, painless cheek swab test you can do at home. We will provide you with a unique and personal behaviour and training profile, a health and personality summary and certificate of breed identification. Susan offers behaviour advise for companion animals, horses dogs and cats. One to one dog training. Susan runs the behaviour clinic for Priory Vets in Banstead and their Puppy Playschool sessions. Have you brought home a puppy? Brought home or adopted an older dog? I can help you with advice before and after you bring your puppy home. Can help with jumping up, toilet training, mouthing and biting, chewing, pulling on the lead, teaching how to leave items. Can helping increase confidence in your dog. I work with you to understand the emotions underlying your dog's behaviour, and by helping to change their emotions, we can change their behaviour. New parents, prospective parents: I am also a Family Paws Parent Educator, licensed to help prepare your dog for life with baby and/or toddler. Cats: Help with cats who spray indoors, toilet on your bed or favourite cushion. Cats who are timid, or who behave aggressively, biting or scratching other cats or humans and help introducing cats into the family. Qualified, experienced vet taking behavioural referrals for cats, dogs and small pets. I also offer herbal medicine, acupuncture and nutritional advice.